The billing of your medium to large-sized company’s clients can undoubtedly be a challenge. Not only do you have to manually invoice and collect payments at the end of every month, but the added process of depositing those payments and chasing clients that don’t pay can take up valuable time – and in many cases, requires you to hire a dedicated account manager. In the United Kingdom alone, small and medium-sized businesses are owned an incredible £67 billion in unpaid invoices, while even the largest manufacturing businesses face an average wait of 38 days for invoices to be paid, according to the ABFA, all of which simply highlights the importance of strong and efficient billing systems. From late payments to clerical errors, there is a host of reasons why manual billing and invoicing can have a negative effect on your firm’s bottom line. If you are spending too much time billing and invoicing clients, you should consider an automated billing system for your business. Benefiting your cash flow and your clients, such technology is available online and can offer increased revenue and improved customer loyalty. Here are five reasons why you should implement automated billing software within your business. Once a billing system has been implemented within your organisation and linked to other software systems that your business relies upon, the time you spend doing administrative tasks will be heavily reduced. Instead of manually processing payments and chasing clients at the end of every month, you can sit back and wait for your clients to receive alerts through email or text message. Not only does this minimise the headache for your firm’s senior employees, but it also negates the need to hire an additional member of staff to process payments by hand, which makes billing software a cost-effective alternative to manual bookkeeping. 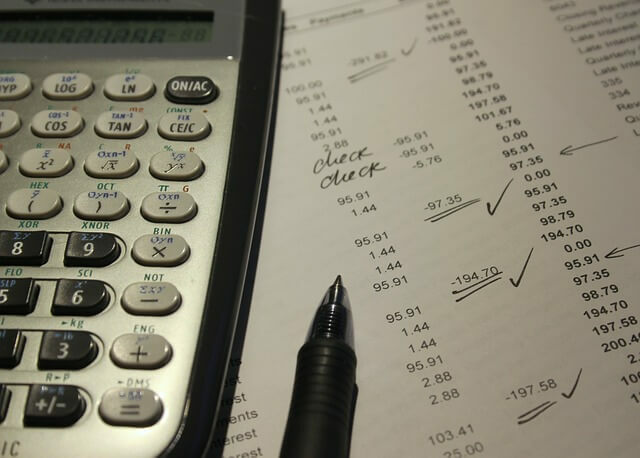 A late payment can significantly impact your business’s cash flow. Whether you spend time chasing late payments or even charging late payment fees, such occurrences can not only affect your cash flow but also your relationships with your clients, who themselves may be struggling with cash flow issues. Setting up an automated schedule will ensure that payments are made at regular, pre-determined intervals, removing the ‘guesswork’ from your monthly cash flow management and allowing you to use your improved financial position to grow and expand your business operation. If your business relies on subscriptions – whether that is a recurring monthly fee for a service you provide or a pre-agreed amount for product deliveries – automated software is the best way to manage them. Online providers, such as the aptly-named BillingPlatform, provide tools to automate your business’s billing, meaning that you can renew, upgrade, downgrade and manage your clients in one easy-to-use software package. By taking the manual aspect out of your billing processes, you will appear more professional, organised and efficient. However, it isn’t merely subscriptions, but all types of billing that can be catered for by the leading providers. BillingPlatform, for instance, offers billing for not only subscriptions but also metered and usage models as well. They also have unlimited invoice templates that can be assigned to all customers, a group of customers or each individual customer. In an increasingly digital world, communication is important. Although manual invoicing can be effective when done so correctly, automated billing software offers clear, consistent messaging and keeps your clients in the know wherever they are. Whether you allow your clients to access an online payment portal or you set up automatic email reminders to clients, automated software takes the pain out of late-payment conversations, and means both parties can save time and energy. A recent Mastercard study showed that over two-thirds of households think that automated payments are the norm, so adopting such practices will be a convenient and familiar experience to your customers and increase your levels of professionalism in the process. By setting up regular automated billing for all of your clients, you will be able to ensure that payments are made on schedule and in full. This negates the need to follow up customers who have yet to pay, and enables you to avoid collections to save you both time and energy. In situations where the schedule on which payments are required is not a regular one, a medium or large-sized business may wish to consider event-based invoicing, a feature also offered by BillingPlatform, whereby an invoice can be sent out on the basis of any revenue event, such as a customer purchasing a specific item, a client performing a service action or a customer entering a specific usage threshold. The company began offering this feature for a client that had lots of disputed charges on invoices that had many line items – between 50 and 100 plus. Instead of sending out a large invoice with lots of charges and waiting for every single charge dispute to be settled before seeing any revenue from that invoice, the client was able to break up large invoices into many smaller invoices and thus see revenue come in faster. Event-based invoicing can also help clients that invoice manually to automate the long and arduous process of adding a great number of line items to an invoice. Regardless of the size or scope of your organisation, relying on automated billing software is a great way to increase productivity, improve your cash flow and save you time. Managing invoices and payment details in the cloud is not only more cost-effective than traditional methods, but it also provides a safer and more transparent and adaptable method of billing that can be used on almost any device, and quickly expanded upon as you grow and develop your organisation.